Diana was so unhappy in the few weeks after her fairy tale wedding with Prince Charles that she tried to slash her wrists, according to the transcripts of secret tapes of the popular princess. The shock revelations were made in a book about her battles with depression, life with Charles and his lover Camilla. "I was so depressed, and I was trying to cut my wrists with razor blades," The Princess of Wales is quoted as saying. The "suicide" tapes - are believed to have recorded in 1991 with the help of a friend - and have remained secret for 20 years, The Sun reported. But they are now being used in a republished version of Andrew Morton's book: Diana- Her True Story. 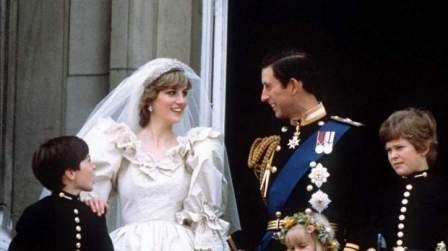 Diana in the tapes tells how life became a misery after life in Balmoral during their honeymoon. "I got terribly, terribly thin. People started commenting: 'Your bones are showing.' By October (1981) I was in a very bad way," she said. "I was so depressed, and I was trying to cut my wrists with razor blades. It rained and rained and rained. I came down early (to London) to seek treatment, not because I hated Balmoral, but because I was in such a bad way. "I was so depressed, and I was trying to cut my wrists with razor blades," she was quoted as saying. In the original book Morton had revealed the suicide attempts - but had quoted "friends"
Now the new edition reveals that it was Diana who had spoken candidly about how quickly the marriage had fallen apart. She also reveals how she kept looking for Camilla Parker Bowles, her love rival, even as she walked down the aisle at her wedding. "As I walked up the aisle, I was looking for Camilla. I knew she was in there. "I had a very bad fit of bulimia the night before. I ate everything I could possibly find which amused my sister (Jane) because she was staying at Clarence House with me. "On the day, there was great anticipation. Happiness because the crowds buoyed you up - but I don't think I was happy." Diana said she was in love with Charles and "couldn't take my eyes off him"
"I just absolutely thought I was the luckiest girl in the world. He was going to look after me. Well, was I wrong on that assumption! "So walking back down the aisle, I spotted Camilla - pale grey, veiled pillbox hat, saw it all, her son Tom standing on a chair. To this day, you know - vivid memory," she was quoting as saying. On her honeymoon she reveals she suffered "appalling dreams", adding: "At night, I dreamt of Camilla the whole time. "I was obsessed by Camilla totally. I didn't trust (Charles) - thought every five minutes he was ringing her up, asking how to handle his marriage." Diana remained the object of worldwide media scrutiny during and after her marriage, which ended in divorce on August 28, 1996. She was killed in a car crash in Paris in August 1997 at the age of 36 along with Dodi Fayed.